Are you hoping to set up shop for your jewelry? 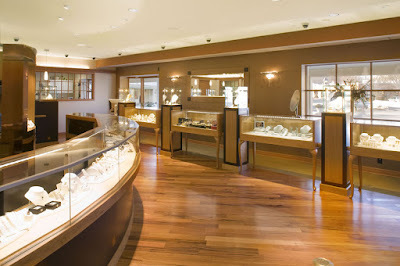 If you are, then these tips will definitely help you out in preparing for your jewelry shop. See, setting up a shop to display your different jewelry like necklace, rings, watches and earrings is not as easy as it sounds. While you can open up a mini-grocery store just about anywhere and expect to get a lot of profit, selling jewelry requires a different angle. Besides having to make sure that you have the right target market, you have to recognize some factors that will also be significant in setting up a shop for your jewelry. When it comes to setting up a business, budget will always be an important factor. Before you can set up shop for your jewelry store, you need to know how much budget you have and how much money you can allocate per aspect of your business. Without a good and strategic plan, there’s a very slight chance that your business will succeed – especially if you haven’t even studied your market or the success rate of your jewelry. Once you have your budget all set out, the type of jewelry is also an important factor to ensure that your business goes well. The type of jewelry you’re selling should determine the type and design of your store. If you plan on selling traditional type of jewelry, you may want to design the store to portray the designs you’re selling. Designing your store to look nothing like the jewelry you’re selling will send the wrong message to your target market. The main function of your jewelry display is to attract the customers to buy. This doesn’t just mean the neatness and arrangement of your items, but it also includes the set up, the accessories, the equipment and the interior design that all add up to how your jewelry will look like to your customers. Having an engaging jewelry display is important to keep customers interested and your market targeted in just the right way. Aside from the necklace display stands, the store’s actual design and atmosphere is also essential to keeping a customer’s interest. If the store is neither comfortable nor inviting, it may eventually affect the customers that come into the store to look at the items. For those who have no experience in designing or setting up a store, it may be wiser to invest in a good business interior designer to ensure the future of your jewelry shop.